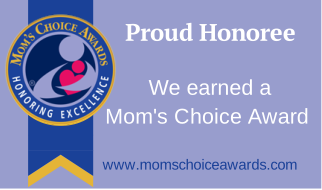 Winner of the 2014 Mom's Choice Award! Gold Medal in YA Books, Fantasy, Myths & Legends! Everyone in the land loves Princess Sitnalta of Colonodona. Everyone except her father, the monstrous King Supmylo, whose thirst for revenge and hideous cravings, have nearly destroyed the once peaceful kingdom. He cares only for power—the more the better—and he despises Sitnalta because she wasn’t born a boy. He wanted an heir, a prince, to grow his kingdom and fulfill his own father’s legacy. But now, his only choice is to join with a neighboring kingdom, and at the tender age of 15, Sitnalta is to be married to another king who is at least as old as her own father. But Sitnalta has other ideas. Before her father can come for her, she sneaks out of her bedroom window, scales the castle walls, and enters the magical forest that surrounds her kingdom. There she meets Najort, a kind-hearted troll, who was tasked by a wizard decades earlier to protect a valuable secret—with his life, if necessary. 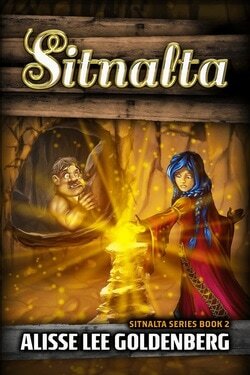 Sitnalta is now available through Pandamoon Publishing wherever books are sold. After what seemed like hours of trying desperately to be demure and ladylike in her promenade around the gardens of the palace, Sitnalta gave up. The breeze was cool and fresh and she longed to see what it felt like from higher up. She had discovered much to her delight that the apple trees were in full bloom and soon succumbed to temptation, climbing to the very top of the tallest tree in the orchard. The view took the very breath from her body. From her perch, she could see clear over the palace walls. The mountains in the distance to her right were blue on the horizon, to her left was a green velvety expanse of forest. Directly in front of her she could see a sea of thatched roofs that made up the village. She felt, not for the first time, a desperate longing to be free from the walls of the palace, but knew that this could never be. She wondered if her mother had ever felt as trapped as she, and if Queen Learsi was free now, wherever she was. With a sigh, Sitnalta chided herself for such a melancholy train of thought and decided to leave the tree. As if she were part monkey, Sitnalta shimmied down the tree trunk without so much as a rip in her dress. Skipping out of the orchard, weaving a coronet of blossoms, Sitnalta headed to the stables in search of a playmate. Playmates appeared to be in scarce supply that day. Sitnalta reached the stables and found no one around. Frustrated, she climbed into the hayloft, the sweet smell of hay mixing with the ripe smell of the horses below. Sitnalta lay back in her nest, her long blue hair mingling with the golden hay. Her amethyst eyes sparkled as she watched the sunbeams dancing through the slats of the roof. She felt drowsy up there, but peaceful as well. Every breath she took warmed her from top to toe. She closed her eyes and dreamed. Her mind shaped stories; stories of freedom, of far away lands, of lost cities and treasures. In each of them her mother was the heroine. Tall and strong, she would come and rescue her daughter, taking her on wild adventures. Two strong warrior women who no one told what to do. These were the secret dreams of Sitnalta. Dreams she would never dare tell another living soul. Not even her beloved Aud. That day, she and her mother were rulers of a magical kingdom under the ocean. The buildings were golden and tall reaching up towards the surface. They had gotten there after a daring escape from Colonodona, in which her mother had disguised herself as a foreign male delegate, actually wearing trousers in the palace! She had kidnapped her daughter and climbed over the palace walls using a rope ladder. Together the two women had spirited away into the night, swimming for their new home after reaching the beach by moonlight. Loud footsteps jolted Sitnalta out of her reverie. She pulled herself out of her reclining position and dove behind a haystack. She was sure no one would be able to see her there. Once she was certain that whoever it was, was someone safe, then she would reveal herself. She listened carefully to the footsteps. Two people, she thought. One was big, the other, seemed scared and walked fast to keep up. Sitnalta held her breath. If it were Harold and Jess, the stable boys coming, she was fine. They were her friends and would gladly play, or let her help them with the horses. But anyone older would surely frown with adult disapproval and tell Aud, meaning she would be in for long lectures that night. Sitnalta certainly did not want that. But it could not be her friends. The leading steps were much too loud and sure for them. She knew it would be best if she just stay hidden. “I want you to take this summons to King Gerald in the neighboring kingdom of Sarrin, immediately.” Sitnalta felt frozen to her spot. She knew that voice and had learned to fear it from a very young age. Her father had entered the stables. His words were followed by the sound of a scroll being slapped roughly into an open palm. Sitnalta heard a sharp intake of breath, as if Jess was bracing himself for a hard blow from the heavy-handed ogre king. Sitnalta held her breath with her friend, praying he not be hurt. But no blow was to come, and both she and Jess let out sighs of mutual relief. Sitnalta felt a wave of nausea cascade over her. “Now take the white mare and go,” Supmylo snarled at Jess. Sitnalta shifted in her position to peer around the hay. Surely her friend would not run this errand? Jess would see her sold off to a feeble old man like this? But she saw Jess scrambling around the stable collecting tack and saddle. Saw him assemble them on the snow white mare, and saw him ride off out of sight. She swallowed hard and watched her father sweep out of the stable, confident that he had just made a grand acquisition of a son-in-law. Sitnalta crept out of the loft and slowly exited the stable, not even bothering to acknowledge the horses. She did not care that her hair hung in tangles, bits of straw and apple blossoms poking out every which way. She did not care what Aud would say upon seeing her in this state. Her mind was reeling from what she had just heard. Marriage? Her? But she was barely fifteen! And from what she heard, this King Gerald sounded like the last man she would even consider marrying! All her life she had dreamed of princes and romance. She dreamed of marrying for love, not being sold off to the man with the largest piece of land. She resolved that she would not stand for this. She would not sit back and let her father take over her life. But how would she escape this? She knew she had to think of something, and fast. The story is simple and charming. A sweet fairy tale for all. I enjoyed every adventurous journey and cry for freedom from Princess Sitnalta. Sitnalta is a wonderful read for all ages. I'm a romantic through and through and to this day one of my favorite reads is Beauty and the Beast. This book rivals that classic with ease! I must tell you ... I am not a young adult, but I enjoyed this book to the fullest! I laughed, I cried, I cheered. The Character of Sitnalta! was so much like the girl I always wanted to be. I really enjoyed this story. It wasn't like anything I have ever read before and I love discovering such originals plots. Sitnalta is an enjoyable read from start to finish. The story is well paced and the characters are memorable. The story works well as a kind of bridge between all those stories we grew up reading in elementary school where trolls, ogres, kings, queens, princes and princesses were as real and the magic of learning to read. Although this story is not solely intense for children it is a simple story of love, honor and courage that anyone of any age will enjoy. Pick up your copy of Sitnalta as an ebook on Amazon and Barnes and Noble. Pick up your paperback copy of Sitnalta on Amazon and Barnes and Noble. Pick up you official Sitnalta merchandise on CafePress.